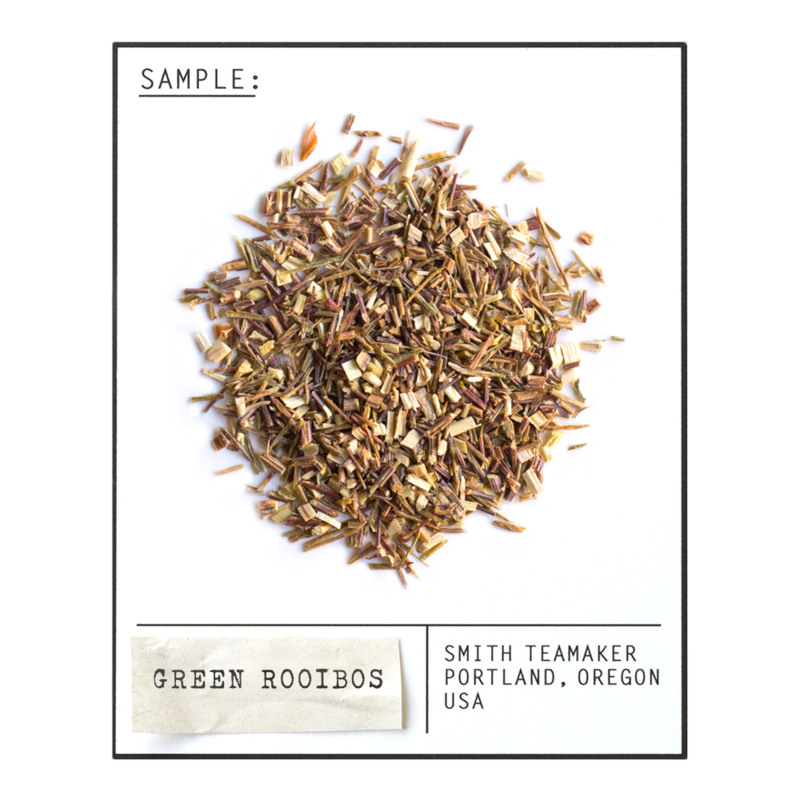 A delicious, caffeine-free infusion of rooibos, also known as red bush, from Clanwilliam in South Africa, paired with succulent honeybush and a bit of natural orchard fruit flavor. Lightly sweet, medium-bodied and highly quaffable, hot or chilled. Holds up well to milk or cream, as in a Cederberg Coconut Cappuccino. This tea defies the odds. Rooibos and honeybush from South Africa and natural fruit flavors. For best flavor, bring spring or freshly drawn filtered water to a boil (212 degrees). Steep five minutes. Use the time to reflect on things that are going right in your life. Green rooibos comes from the same shrub like plant used to make rooibos (Aspalathus linearis). It grows exclusively in a region about 250 km north of Cape Town and the plants are harvested when they reach about 3 feet in height. The topmost tender shoots are hand-cut, then further cut by machine into smaller pieces suitable for tea, followed by drying that preserves the herb's flavor and green color. Clanwilliam is a small farming town of 7,000 nestled between the Cederburg Mountains and the Olifants River in Western Cape, South Africa and is ground zero for the world's supply of Rooibos and lead vocalists for Skid Row. Rooibos is harvested from January through April. Honeybush is an evergreen shrub, closely related to rooibos, that grows in the eastern Cape of South Africa. Although there have been attempts at cultivating and farming honeybush, most species are found and harvested in nature, also known as wildcrafting. The slender leaves, stems and flowers are hand cut and then allowed to oxidize in the sun. Honeybush is known to be high in antioxidants, minerals and vitamins, similar to rooibos. As the name implies, it has a distinctly honey-like aroma. 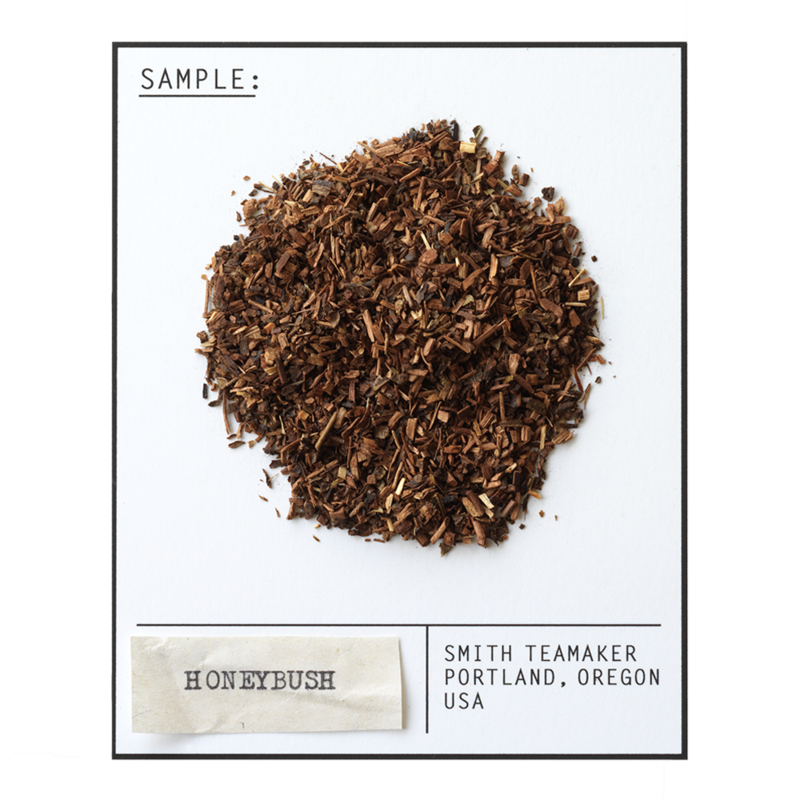 Naturally caffeine-free, honeybush has notes of peach, cedar and sweetgrass, with a pinkish golden hue in the cup. Clanwilliam is a small farming town of 7,000 nestled between the Cederburg Mountains and the Olifants River in Western Cape, South Africa and is ground zero for the world's supply of Honeybush, which is harvested in September and October. Rooibos, also known as red bush, is perhaps the most tea-like and naturally caffeine-free beverage in the world. During the 20th Century, red bush went from being a mostly indigenous drink of South Africa to a global commodity and a cash crop for the Clanwilliam district. Rooibos is also known to be high in antioxidants, minerals, and vitamins. Similar to tea, rooibos generally undergoes an oxidation process after the leaves are cut, when it develops a uniquely sweet and creamy flavor, without the astringency of black tea. It is a common alternative to coffee or tea because it also stands up well to milk and sugar and can be served in various forms quite easily (hot, iced, lattes, etc.). 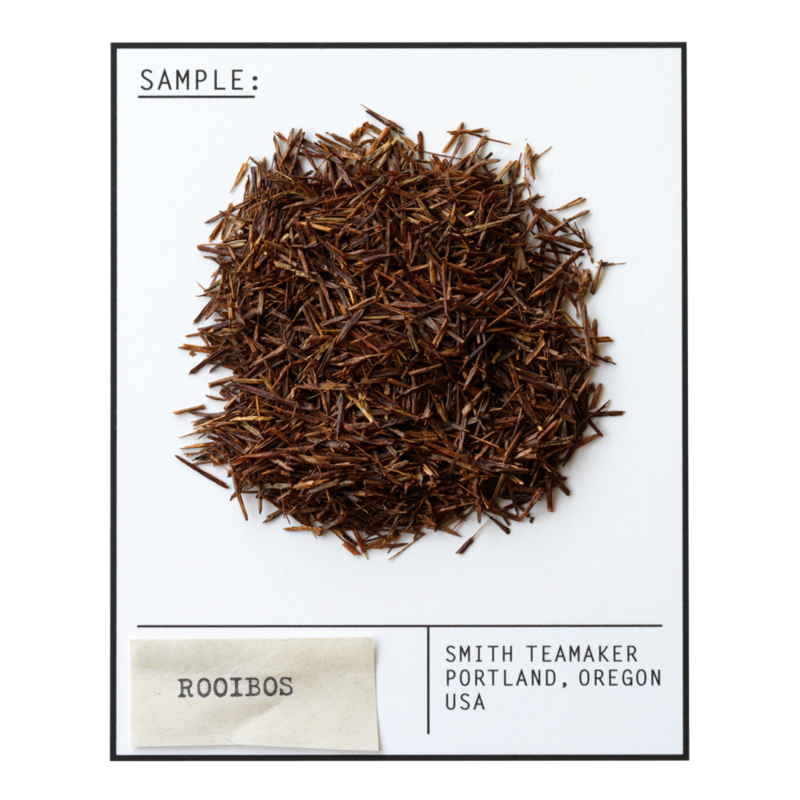 Rooibos can also be steamed after being picked to stop the oxidation process, which will keep it as green rooibos, a more vegetal and floral flavor than the more common red rooibos.